The Elite will offer a 611-horsepower V8 engine with a hybrid regenerative braking system to deliver even more punch, pushing it from zero to sixty in about 3.5 seconds. On Monday, Lotus announced the Elite, a V8-powered supercar that will rocket the British manufacturer of pint-sized racers into competition with the likes of Ferrari, Lamborghini and Aston Martin. Unlike the current lineup of ultralight, low-slung coupes powered by four- and six-cylinder Toyota engines, the Elite will adopt a 5.0-liter V8 capable of putting out 611 horsepower. According to Lotus, that will fling the Elite to 62 miles per hour in 3.5 to 3.7 seconds. 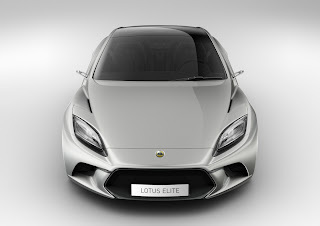 In the interests of keeping pace with the afore mentioned competition, the Elite will also be a hybrid. 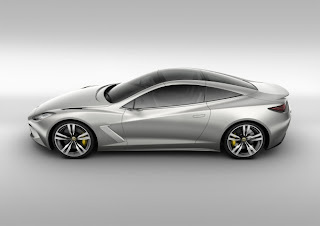 Although Lotus hasn’t advertised it for its gains in fuel efficiency, the Elite will use a kinetic energy recovery system, or KERS, which recovers energy in braking and boosts the car during acceleration via electric motors in the transmission. Styling takes a turn away from the spidery boy-racer look of Lotus’ smaller cars for a more mature, swept back look that reminds of a bit of offerings from Ferrari, Aston Martin, and even a hint of Fisker. 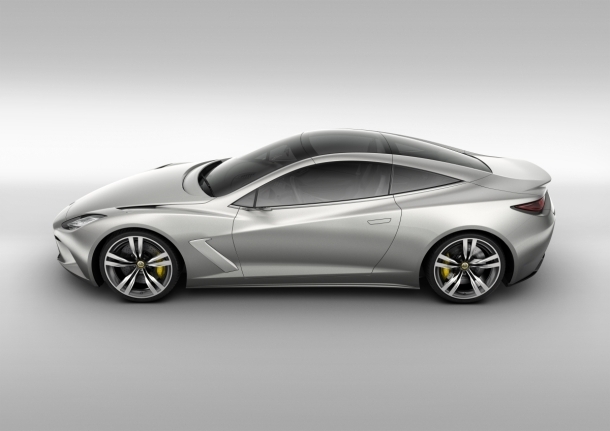 Like the Lotus Evora, the Elite will offer a 2+2 seating arrangement, becoming the company’s largest car at just over 15 feet long. It’s also the most expensive. While the 2010 Evora starts at $72,990, the Elite will retail for £115,000 – about $180,000 USD. 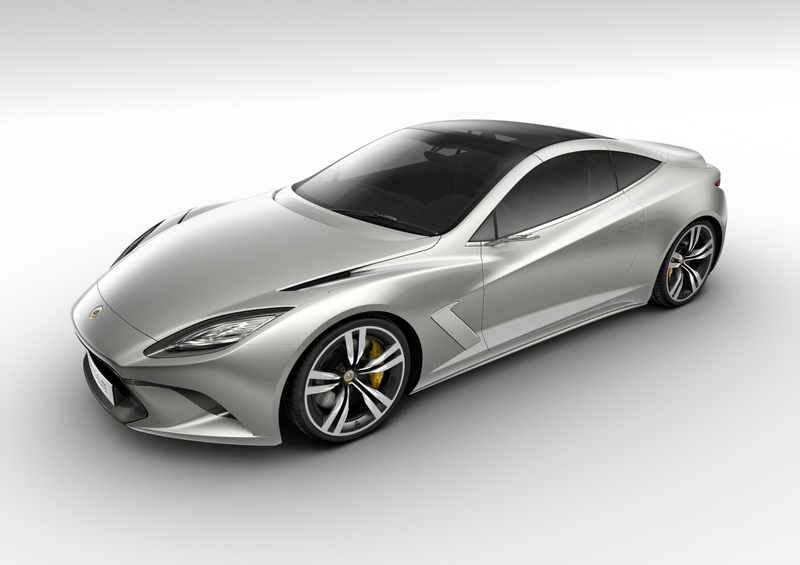 Lotus will officially unveil the Elite at the upcoming Paris Motor Show in October, but don’t sell your Ferrari just yet; the car won’t roll onto freshly waxed showroom floors until spring 2014.